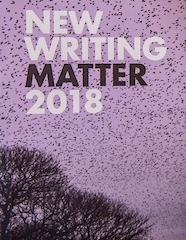 A relaxed literary evening in the company of Sheffield Hallam University creative writers and others including prose and poetry readings from Matter Magazine. Get a sneak preview of The Anthill, the latest novel from Sunday Times Young Writer of the Year shortlisted Julianne Pachico. We will also be announcing the winning entry from Sheffield Hallam University’s Monster Micro Fiction competition. Hosted by Conor O’Callaghan.